Keeping a track of the expenses made on different aspects is a daunting task, especially if you are a busy person or an entrepreneur. You should maintain an Accounting Expense Forms file, where you list up all the expenses made during a day. Later on, when you calculate your expenses, this will help you out. No money will go unaccounted at the end of the month. 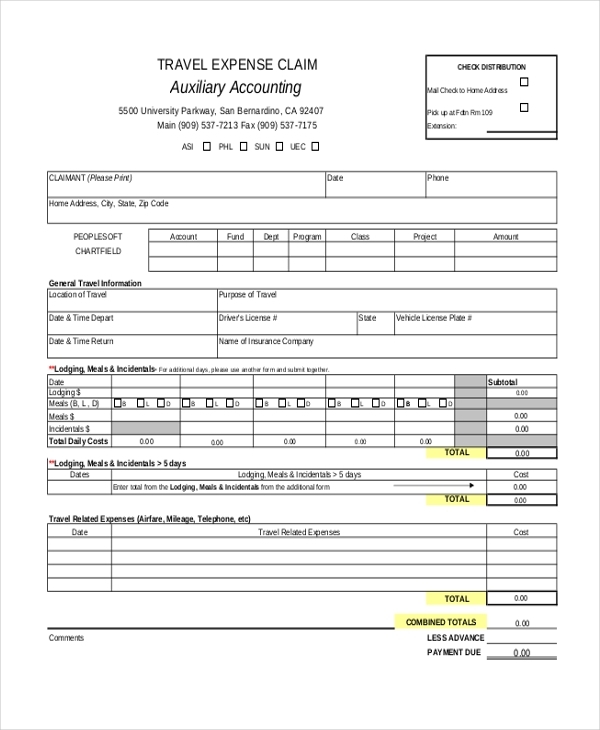 Here are some samples of accounting expense forms for you and you can check out the Accounting Forms format here. The managing staff of a hotel uses these forms, listing different heads like beverages, food, maintenance and other areas of expenditure. These can be maintained on daily basis. 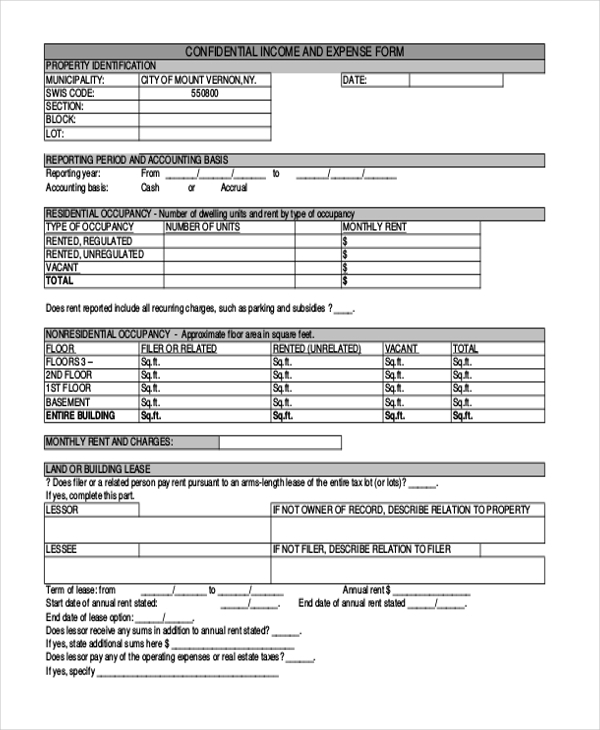 This is a generic form and has to be filled up by an employee of a company, who accounts the expenses made by him to the manager. 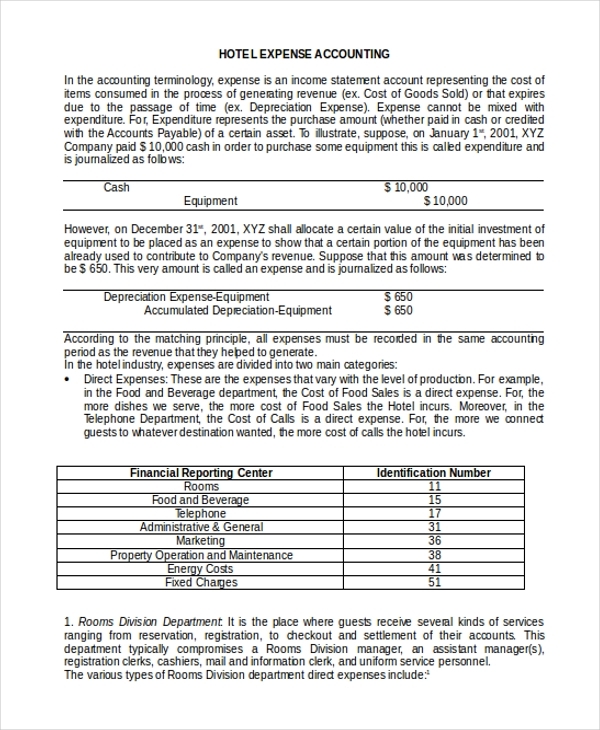 The heads expenses and the amounts are mentioned in the template. You may also see Blank Accounting Forms. This form is easy to be customized. The name of the vendor, purpose for which the money has been spent and the amount are written in the form. 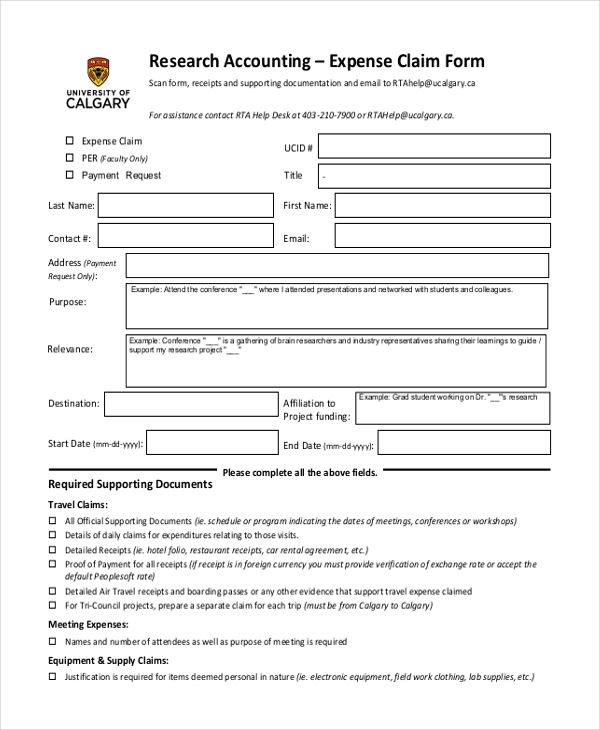 These forms can be used for listing expenses made during a marketing or other research. The first part includes personal and company details, while the second half includes the payment details. 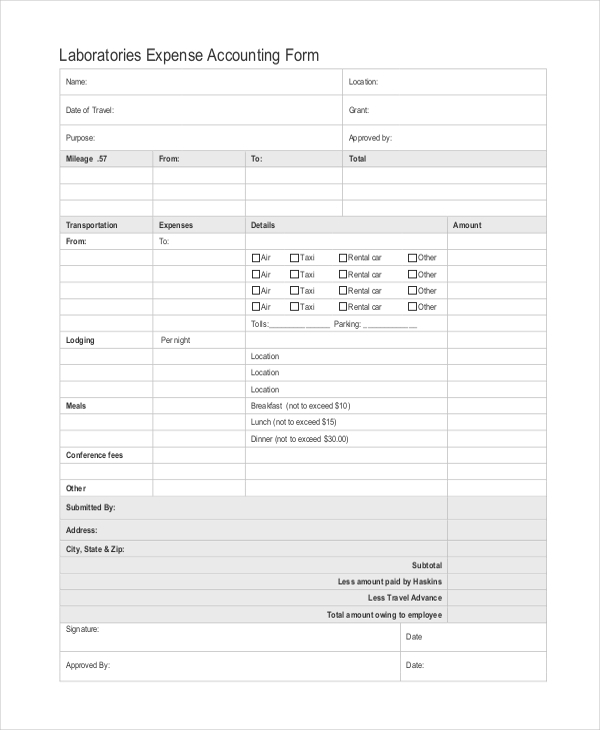 These forms are used by travelers to list down different costs made during traveling. The food costs, transportation costs, hotel rents and other heads are included here. These are used for research and academic laboratories to list up the overall expenses throughout the day. 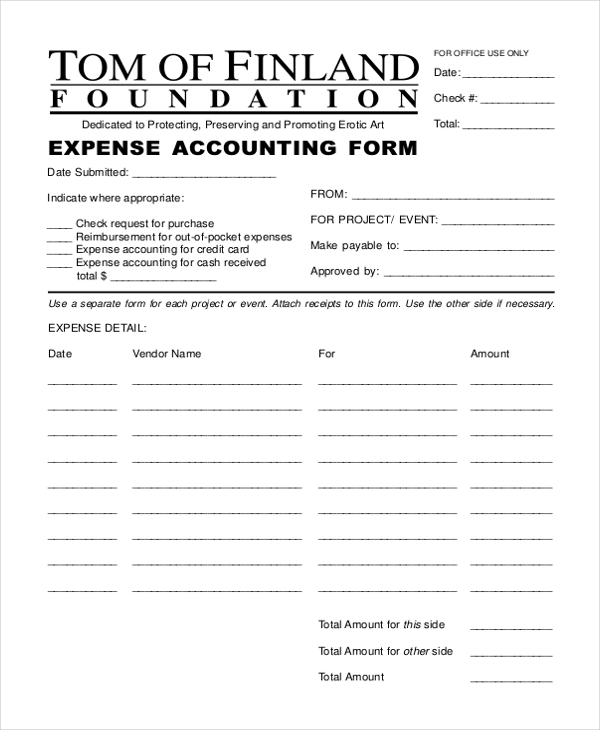 The name of the concerned person is included at the top, followed by the expenses. 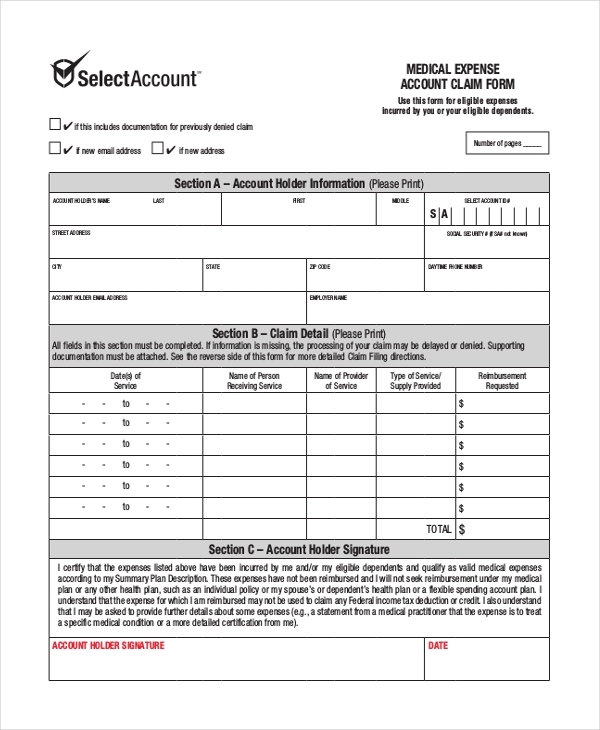 This form records the name of the account holder, the name of the person receiving a service, date of receiving the service and related information. It is presented in a tabular format. you can also see Sample Basic Accounting Forms. In this form, leasing details are listed up. There are different heads related to the business and the address, expenses, improvements and other aspects are listed up here. These forms are used to specify the particular heads where a sum of money has been spent. If often happens that people spend the money and then forgets where he had spent it. Issues arise when it comes to retrieving an amount, as much of the expenses turn out to be unaccounted. On the other hand, if the forms are used, the exact date, purpose of the expense, amount of money spent and other details are recorded for future reference. You can also see Sample Ledger Account Forms. These forms have versatile usage. Every person may keep track of the expenses during the day in their concerned areas and use the forms to note down the amounts. Larger establishments like hotels, plazas, restaurants and any organization offering a service may use these forms. However, they may require customizing the forms, as different companies have their own requirements. 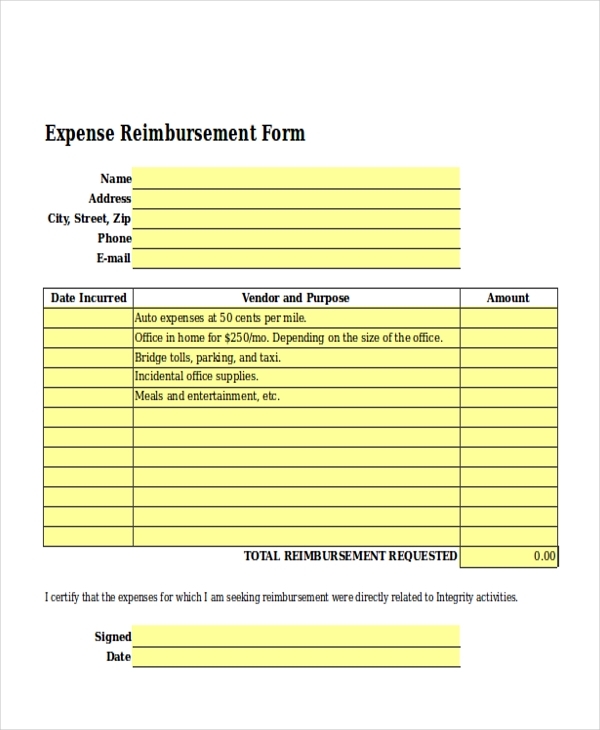 Employees who have to report back to higher authorities about the expenses can also use these templates. In a nutshell, they help to keep a better track of your money. The forms are extremely useful, ensuring that you can keep a record of the money spent on the daily, weekly or monthly basis. Travelers too can avail these templates from the website to keep a record of their money. You may also need Income Statement Forms, and you can browse through the website to find the template you require.